The attack, thought to be the deadliest against Muslims in the West in modern times, was dubbed as 'terrorism' by Prime Minister Jacinda Ardern, as she guided a shocked nation on one of its “darkest days”. The Foreign Office in Islamabad said four Pakistanis were injured in the attack, and another five Pakistanis remain "missing". Efforts are on to ascertain if they have been injured or killed in the attack, or if they are safe. FO spokesperson Mohammad Faisal said all four Pakistanis injured received bullet injuries, but their condition was not immediately clear. The Pakistan High Commission in New Zealand is making efforts to locate the missing nationals, the FO spokesperson said. Asim Mukhtar, the secretary of the Pakistan Association of New Zealand, told Dawn.com via telephone that one of the injured was identified as Naeem Rashid, who has been operated on and is in rehabilitation. Rashid was identified by a relative from the video live-streamed by the attacker. He reportedly attempted to stop the assailant as he gunned victims down in the mosque. Rashid's son, Talha Naeem, is listed among those missing. 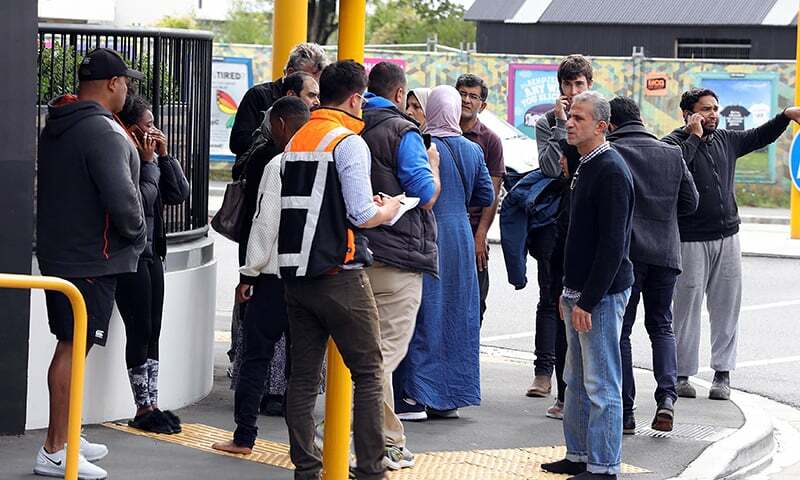 A second Pakistani victim was identified as Muhammad Amin, 60, who was visiting Christchurch. He received gunshot injuries and is receiving medical help, Mukhtar said. A 28-year-old Australian-born man has been arrested and charged with murder. He is set to appear at the Christchurch District Court early Saturday. Two other men remain in custody, although their link to the attack is unknown. The Australian man, identified by international media as Brenton Tarrant, live-streamed footage of himself going room-to-room, victim to victim, shooting the wounded from close range as they struggled to crawl away. He also published a racist 'manifesto' on social media before the attack, featuring conspiracy theories about Europeans being "displaced" by immigrants and details of two years of preparation and radicalisation leading up to the shootings. “I heard three quick shots, then after about 10 seconds it started again. 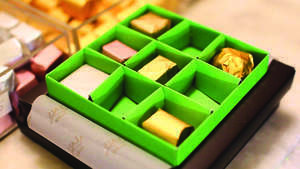 It must have been an automatic — no one could pull a trigger that quick,” the man who did not wish to be named, told AFP. “Then people started running out. Some were covered in blood,” he said. 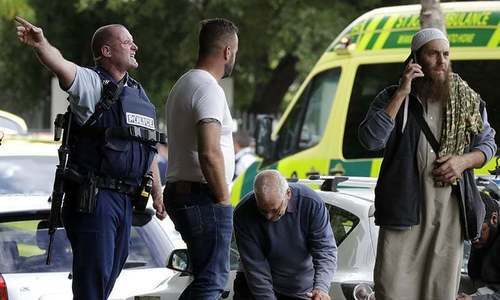 New Zealand police described the footage shot by the gunman as “extremely distressing” and warned web users that they could be liable for up to 10 years in jail for sharing such “objectionable content”. In addition to the footage, a number of pictures were posted to a social media account showing a semi-automatic weapon covered in the names of historical figures, many of whom were involved in the killing of Muslims. Police, who initially imposed a city-wide lockdown, sent armed officers to a number of scenes and the threat level in the nation was raised from “low” to “high”. In Auckland, 1,000 kilometres away, two unattended bags left near a railway station were detonated by military explosives experts. 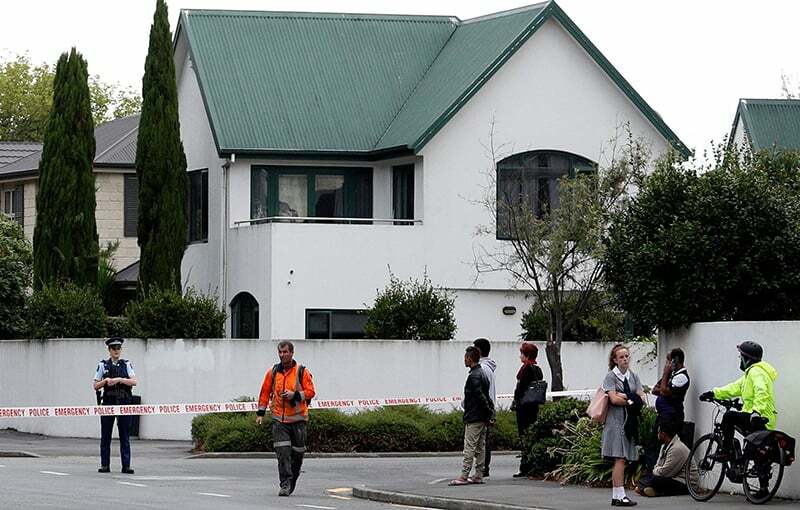 Police also attended a property in Dunedin which they believe is linked to the attack and evacuated nearby residents. The southeastern city was named in the suspect's manifesto as the original target for his attack. Police warned Muslims all over the country not to visit mosques “anywhere in New Zealand” in the wake of the Christchurch attacks. Christchurch city council offered a helpline for parents looking for kids attending a mass climate change rally near the shooting. 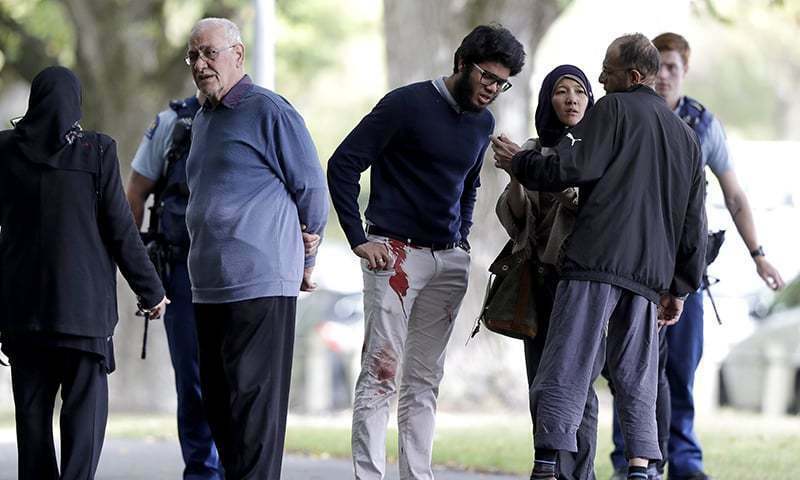 The attack has shocked the local Muslim population, many of whom had come to New Zealand as refugees. The Ardern government has been vocal in its support for opening the doors to those suffering from wars in Syria, Afghanistan and beyond. 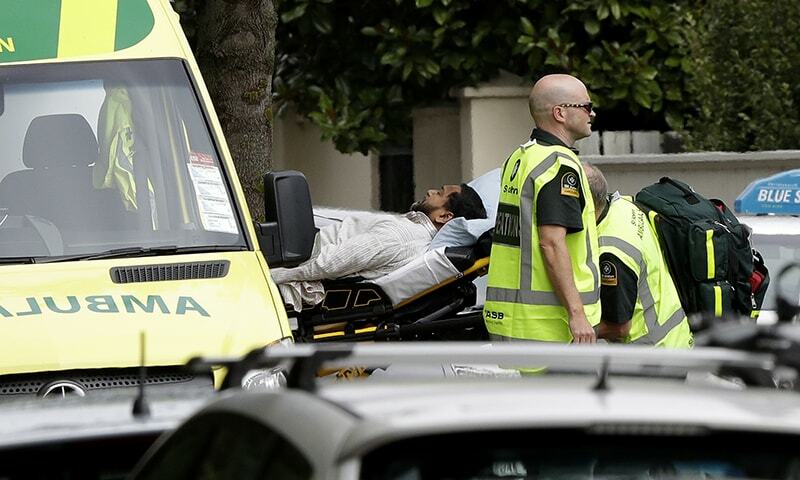 The Bangladesh cricket team — which had been in Christchurch for a Test match and was about to go into the mosque when the attack happened — all escaped without injury. “They are safe. But they are mentally shocked. We have asked the team to stay confined in the hotel,” an official told AFP. US President Donald Trump condemned the “horrible massacre” in which “innocent people have so senselessly died”. The main suspect, identified as Brenton Tarrant, is an Australian national who resided in the city of Grafton in the Australian state of New South Wales. 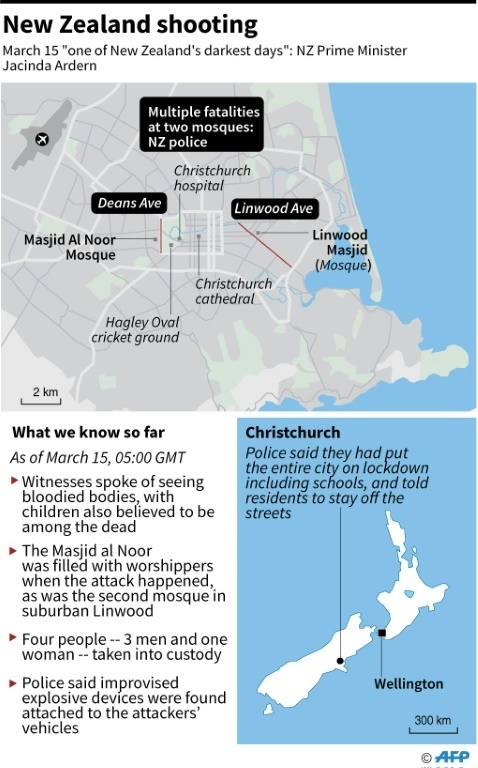 He is suspected to have entered two mosques in Christchurch and shot dead 41 people at Masjid Al Noor at 1:40pm local time, and seven more at the Linwood Masjid a short distance away. However, this has not been confirmed by New Zealand police. He was identified after having live-streamed the massacre to social media with the help of a camera attached to his gear. According to Australian media reports, he had in the past worked as a gym instructor and personal trainer and was obsessed with fitness. 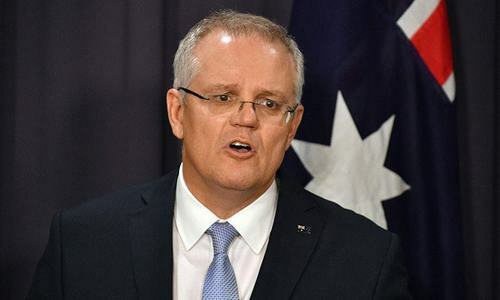 According to the Australian Broadcasting Corporation (ABC), "Tarrant described himself as 'a regular white man, from a regular family' who was born in Australia to a 'working class, low-income family'." According to the The Sydney Morning Herald, he "was dedicated to fitness and ran free athletic programs for children". "He left the small town in 2012 to 'travel' before settling in New Zealand," the Herald reported. He traveled widely since he left, including to Europe and various parts of Asia. Tarrant's beliefs — outlined in a 74-page manifesto uploaded online — revealed a disturbing obsession with racial purity and white supremacy. "He also wrote that he began planning the attack 'roughly two years in advance', and chose the final location three months prior to the attack," wrote the Herald. The title of his manifesto seems to have been inspired by a anti-immigration conspiracy theory with the same name which originated in France. Tarrant said in the manifesto that he had been motivated to carry out the attack after visiting France and observing migrants living there. "The 74-page document, called The Great Replacement, consists of a rant about white genocide and lists various aims, including the creation of “an atmosphere of fear” against Muslims," reported The Guardian. "The document, which suggests an obsession with violent uprisings against Islam, claims that the suspect had 'brief contact' with the Norwegian mass-murderer Anders Behring Breivik and that Breivik gave a 'blessing' for the attack," The Guardian said, adding that Tarrant described himself as "an ethnonationalist and fascist". He also expressed support for US president Trump as a “symbol of renewed white identity and common purpose", but stated that he did not admire him as a "policy maker and leader", The Independent reported. "The suspect wanted to send a message [to Muslims] that 'nowhere in the world is safe'," The Guardian reported. "The choice of weapon – firearms – was designed to gain maximum publicity." "I chose firearms for the affect it would have on social discourse, the extra media coverage they would provide and the effect it could have on the politics of United States and thereby the political situation of the world," The Guardian quoted from the manifesto. Prime Minister Ardern described the incident as an "unprecedented act of violence". "I would describe it as an unprecedented act of violence. An act that has absolutely no place in New Zealand. This is not who we are," she said at a press conference. "I can tell you now this is and will be one of New Zealand's darkest days." 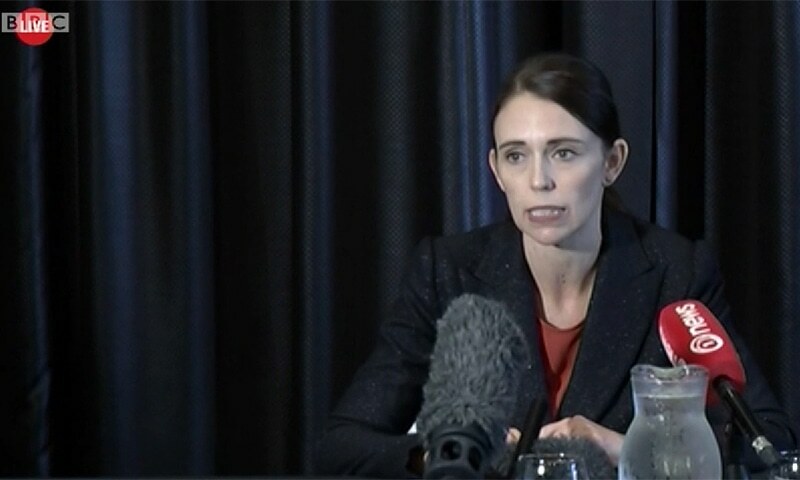 Ardern alluded to anti-immigrant sentiment as the possible motive, saying that while many people affected by the shootings may be migrants or refugees “they have chosen to make New Zealand their home, and it is their home. They are us. The person who has perpetuated this violence against us is not”. She said the country was attacked because New Zealand "represents diversity". The prime minister also urged people not to share the video of the attack as well as the manifesto of the alleged shooter and added that websites, where pictures and videos had been shared, were working on taking them down. "My message would be [that] we should not be perpetuating, sharing, giving any oxygen to this act of violence and the message that’s set behind it." Sad to hear; So, virus has spread to New Zealand too.. Targeted Hatred and violence are infectious , hope it gets burried fast else humanity Will be in danger. My deepest condolescences with muslim bro and sisters from nz. Love and respect from indian hindu. Bigotry and guns is the greatest threat to our civilization. Sad to see a place of worship being attacked . Please call it for what it is. A terrorist attack! It high time world gets up and stop this virus and their sponsorers. It is an evident act of Terrorism! This is what you actually call "terrorism". But because it is committed against Muslims it is called an "unprecedented act of violence". Shame on the world's conscience. This is real terrorism but biased PM says it as act of violence. Shame shame. Tolerance and mutual respect essential for society. Sad day in New Zealand. Terrorism has no religion. Today its justified. With a respectable, well-funded judicial system in place: New Zealand must lead the way in ensuring comprehensive and swift justice. All foreigners should leave Newzland immediately. We Indians condemn terrorism against anyone and any part of the world. Bad things spreading to all over the World. Was it terrorism or was it a non-Muslim with some mental issues? SO SAD, no one says it as "Terrorism Act" ????? My late wife Rosemary and I went to newzeland with a group of Rotarians. We found the people there very hospitable and every where we went people welcomed us. It is a beautiful country where decent people live. Let us find out who is responsible for that. It is so sad that it is unsafe to go to a mosque to offer prayers. Such rouges must be punished no matter who they are and from where they came. Why not call it an act of terrorism? @Zohaib, It is an unpresidented act in Newzealand. Such things have happened elsewhere. No doubt , it is a terrorist act to be condemned by all d cent people in the world. @Zohaib, there is no doubt this is an act of terror and hate should have no room in society. However your comment seems to justify the other countless acts. No room for good and bad terrorist!! What can we expect from terrorist? Every one should come forward to finish terrorism all over the world. @gj, you don't know who the shooter is or do you? Mosques and Islamic centres in lockdown even here in Auckland. how west is biased not calling it terrorism. Please call it a Terror attack because that is what it is! Hate and terrorism is a religion in itself. @Srinivas, It is a terrorist attack and called violence against Muslims. So sad..! Humanity is dainted today. .
Condolences to the families who lost loved ones. Why isn't this being called exactly what it is; a terrorist attack. Violence of any sort is not acceptable, Indian. Don' rule out FBI and CIA as behind this shooting. A clear case of terrorism and fascism! It is an incident of terror. There are NO good terrorists. @RAJA CHILL, I agree. Just like it is in Indian Occupied Kashmir. @Hassan Ali Naqvi, Yes. It is an act of terrorism. Terrorism remains terrorism, it has no religion, it can happen every where and every one can become a victim of it. Feeling very sorry! @Zohaib, I do not think New Zealand PM wanted to segregate this from act of terrorism. This could be her first reaction. Indeed a sad day for humanity,guilty must be caught urgently and punished. I use to think that Europe,USA,Australia,New zealand are very safe,but seems no where you are safe. Extremism and terrorism have no religion and no boundary. This sense less violence must be condemned by all. RIP to departed souls and wish rapid recovery for injured. Terrorism has no religion. So what is terrorism? Why not call it terrorism? Why not call it what it is, i.e., terrorism. Why call it act of violance? Its not a shooting. Its a terrorist attack! @Zohaib, An act of terrorism is an act of terrorism, be the dishonest western media gives it any name. Terrorists exit in every race, religion, ethnic groups, country...Humanity should be united against them. NZ authroties, please don't mince your words. It is a TERRORIST attack. Why no one is calling the attacker a terrorist? It is horrible. And the terrorists live streamed the gruesome macabre killing on the social media. 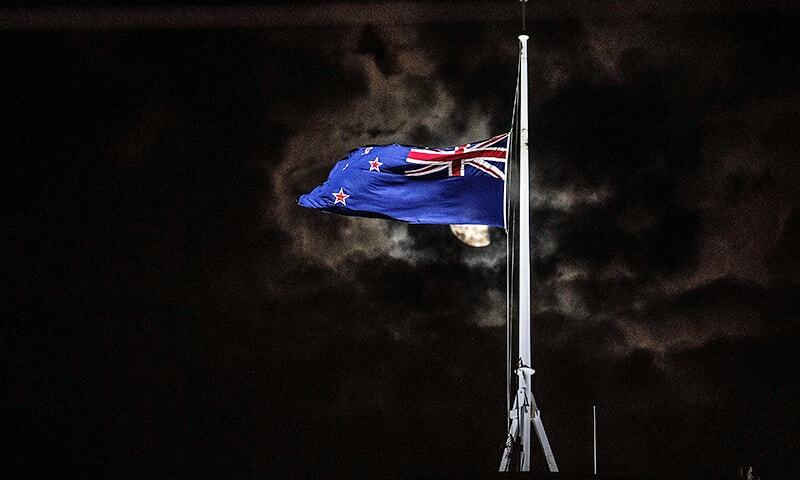 We Stand in solidarity with NZ and its people in this moment of mayhem. Of course it's a deplorable act of terrorism and a hate crime; let's move past the terminology and pray for the departed now. This is extreme terrorism and must be condemned as terrorist attack. Terrorism in any form is un-acceptable. @Zohaib, NZ govt. Has termed it terrorism. One of the worst days for humanity! Why can't we all humans live in peace. Life is too short. Very sad incident. Indeed one of the darkest days in New Zealand's history. This has proven that terrorism and extremism have no religion. These perpetrators only have a bigoted, intolerant and wicked mindset. It is time for Western media to do some soul searching on the fear mongering against Muslims. Very sad incident. Killing innocents is inhumane. |Inna lillahi wa inna ilayhi raji'un. Stop Calling him Gun Man, He is Terrorist. Very Disturbing - people Move to NZ citing family safety as basic reason. My condolences to people of New Zealand. Really sad news. Such ghastly "terrorism" and killing of innocent, unarmed people should be condemned in strongest words and actions. Stop ALL killing in the name of religion. Terrorism in a peaceful country like New Zealand? hard to believe. RIP. These are mentally sick people, who finds no joy in living but immensely enjoys the thrill of dead and dying all around them and heart-rending cries of suffering. This is simply disgraceful ...... its a sign of utter global failure of our leaders, political, economic, religious and those who have a big voice in society. RIP. Yes terrorism has no religion! There is no excuse for violence ever. Call it Terrorism. Heinous. No matter the source. Prayers are with the victims. This incident highlights that terrorists are every corner of the world and, they do not belong to one religion, nationality and race. Very sad day for humanity! (ACP - Gharib Awam ki Awaz). @Jimmy, It is attack on fellow human beings exists in the same globe as all of exists with artificial boundaries, so called borders by the respective countries. Not a terrorist attack....its an attack by someone with mental problems. Seems to be attack by mentally disturbed persons. Sad incident indeed. A detailed investigation should be consucted to assertain the mental health of the alleged gunman and understand what the motivations were behind this unprecedented act in New Zealand. Appropriate healthcare should be offered if required to ensure rehabilitation into normal life. Rest in peace dear brothers in Islam. The terrorist is in custody and has confessed. No more evidence needed. Deepest condolences .. May almighty give strength to bear this pain who have lost their near and dear ones. Extremism is always bad doesn't matter from which religion it is. Live and let live is the only solution. social media is responsible to spread propaganda and lies and sow seeds of hatred between people, communities and countries ! 50 peace-loving people martyred. RIP. @Sajj, it has been. Read again! @Farooq, I wonder if US, UK and France will take a lead and table a motion of condemning this heinous terrorist act against Muslims during their act of worship. So much innocent blood has flown but it is now clear that there is no universal consensus on the definition of terrorism. To this ghastly act some are calling terrorism while some others like NZ pm calls it something else. This is confusing. Anyhow RIP for the innocents who had gone there for prayer . It's a full terrorism. Who will say that.. Very unfortunate and tragic event! Unfortunately, this illustrates that redicalism is in every society, every religion and every race. I blame modern technology for this sad occurance, the proliferation of social media, Mobile phones, internet and ability to buy arms so easily. Could this tragedy have been avoided? There are several possibilities, but that analysis is for another day. InHuman, cowardly act! No religion can justify this act of barbarism. An attack against Muslims is not terrorism but if a Muslim is involved in any attack they immediately call it terrorism. @chitu, - wake up, it was a terrorist attack as mentally retarded people are normally in mental hospital and do not kill innocent people. Accept facts and don't have double standards be biased - truth is bitter to swallow! Horrible.. I hope the terrorists who did this are brought to justice swiftly. Simply a terrorist act and should be labelled as such no matter who committed it ... no question about it!! Very shocking and sad! Human species is getting more and more dangerous. Very sad news RIP departed Souls. Some how humanity has to come together and bring an end to this hatred. Sad news. May all the dead rest in peace. @MG, We Pakistanis also condemn terrorism against anyone and any part of the world ,we need the Peace for ALL. This has already been called a TERRORIST ATTACK by none other than the prime minister of Newzealnd. In any form this is called terrorism. There is no question or excuse in this matter. @Rahul Sharma, Thank you for showing concern to the muslim community in New Zealand. So sad. May their soul rest in peace. Say No to Terrorism . Say No to Intolerance. Terrorism is terrorism.. Doesn't matter if a Muslim kills someone or someone kills Muslims. Why do people see everything from religion perspective?? So sad. Terrorists have no religion - just a twisted ideology. Those protecting and supporting terrorists should do some introspection. Extremely unfortunate. It's hard to comprehend how the families might be feeling now. @Srinivas, Terrorism has no religion..
Horrible situation ... Prayers for the victims and their family. Terrorism is scourge for the planet. There is no good and bad terror, it is just terror and needs to remove it from any form. My sincerest condolences to the family of lost ones.. Terrorism has no in race, religion, color, creed, or cast. Condemn right now and pass laws against anti-terrorism. UNO should immediately intervene to fight it. Work for the safety of all without terrorism, exploitation or anything that is wolf under lambs clothing. Very sad. No human should be killed by another human being. This guy is an Australian and have no convictions in Australia. Let NZ provide actionable evidence that is accepted in the court of law showing direct involvement in the act. Video evidences are not actionable evidences. Need more. @Akram, Yes. Some terrorists never confess. Very sad and tragic events . The whole world is shocked. Terrorism of any sort by anyone, anywhere, is totally condemnable. My prayers and thoughts for the victims and their dear ones and families. A senseless act of terror. Many live lost and ruined. It is so sad. He is a bad terrorist not good terrorist. Still not clear what the NZ and Australia governments are taking action against this tereorism act. A sad day for humanity. @It ends, it cannot be only four people alone. There must be other people who brainwashed and supported them for months and years. They must also be monitoring and posibally guiding them actively or passively. Will we ever hear about them? @Zohaib, NZ and Australian pms both called it terrorist attack. There is not enough actionable evidence to suggest that this is a terror attack. @flying star, Yes, ban all terrorists organizations. There are no good terrorists and bad terrorists. Why world is now quite and not criticizing when terrorist kills Muslims praying? May be they don't give damn when Muslims are killed. New Zealand should be on a watch and keep an eye on the Western missionaries who have been operating abroad in the guise of Muslims extremists(in Syria, Iraq,Afghanistan,Pakistan,Libya etc)and they may have possibly been on the same mission at home. Please mind it that terrorists have no religion and they are worse than animals. Innocent Muslims paid the price with their lives for the heinous terrorist acts committed by radical Islamic extremists somewhere else in the world. Everyone should read the Facebook post or manifesto posted hours before this terrorist act, by the Australian man who fired bullets on people in the Mosque. It is so sad that the world has to go through this every so often. May their souls rest in eternal peace. Terrorism does not have any religion, and whosoever has done it is a monster. My question to the western world is if this was an act by a muslim they will brand this as Islamic radicals, so now will they call this people Christian radicals. I doubt it. My Islam is a peaceful religion and so is every faith in the world. Faith teaches you compassion for all. I hope they will reflect upon Terrorism for what it is and not faith specific. @Zohaib, Everyone is calling it a terrorist attack. Keep reading my friend. All terrorists of the world are psychopaths with inherent capacity of utilizing religion for own purpose. @Bilal Vaseer, I Suggest you to read this newspiece once more attentively... She said it is a terrorist attack, what else do you want. A personal copy of complaints filed against those shooters, to understand this. @Orakzai, Your comment "All foreigners should leave New zealand immediately." 95% of New Zealand are white people. These "foreigners" came mainly from England. Or did you mean all non-white people should leave? Either way, it doesn't make sense. @Srinivas, yes also present in Kashmir. Very sad. The cancer is spreading indeed. Rip all the innocent lives lost today. But New Zealand government must be having all the "actionable evidences" against the shooters. So let's hope the perpetrators of this "bad terrorism" will be brought to justice soon. Everyone has criticised it, people are not monsters, no sane person supports terrorism no matter who it targets. @Rash, And you wonder why these things happening ? The shooter is and Aussie. He came to New Zealand , so he is and immigrant too. New Zealanders are very nice and Hospitable people. This virus of terrorism is spreading all over the world now. Even peaceful nations are not a guarantee of safety. This is the new shape of world war III. @Orakzai, "All foreigners should leave Newzland immediately" - this is a country founded by white settlers. A sad day for humanity. Prayers for the slain victims and families. Islamophia the cause. 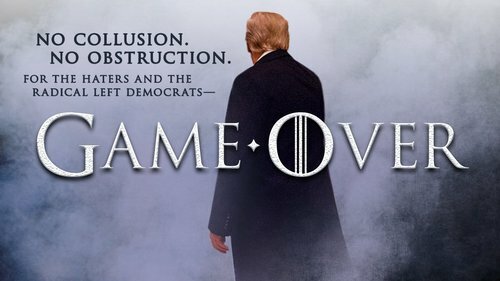 Nice message from Trump but too late. His likes are the cause for this hatred. @Changez Khan, nobody is quiet. Everybody has condemned it. You just can’t hear it! @Shahid Hassan , I would too. Is anyone denying that it is a terrorist attack? No! Very very sad to see this terrorist act. UN and OIC should take action against Islamophobia. World has to know that Islam is only peaceful religion. This is not terrorism. It's a sick mans frustration. A terrorism is an agenda based act. Reminds me of horrible horrible Safoora goth incident. Terrorists have no religion! Hate crime. Not a terrorist attack. Violence has no place anywhere in the world. The terrorist must be eliminated wherever they are hiding with or without protection. People who justify violence should wake up. People who spread hate should be strongly punished. No use trying to find out the religion, region or background of these people. When we do that we create a support base and complicate matters. Else we keep condemning after each tragic event and nothing changes. @Rahul, That is exactly what the NZ Prime Minister called it! There are so many comments asking why this isn't being called terrorism -- newsflash - IT IS! Read the second paragraph - "The attack, thought to be the deadliest against Muslims in the West in modern times, was dubbed as 'terrorism' by Prime Minister Jacinda Ardern". Most western media has labelled this act as murder. Let entire Muslim world media refer to it as an act of TERRORISM. We need to just be humans. Love each other and not hate. Killing is not cool by any means. The so called social media is making us increasingly isolated and antisocial. Its not a terrorist attack. It was hate crime done by misguided youth. Many times , people justify terrorist acts as serving some higher or sublime cause when they or their community is not at the receiving end. Until unless, it is universally accepted that every human life is sacred and murdering of any human being for any cause is universally prohibited and condemned , the selective condemning of any terrorist act would ring hollow. He is non state actor in Newzealand. First of all any one who migrate should be in a position to adopt to Society where he would dwell. Migrants should forget their faith and cannot make a claim that it is his right to follow the faith.